What are the limits of imagination that can be created in reality? Those are the boundaries that 3D Live is pushing, on full display at this year’s Coachella Music and Arts Festival with Lucent Dossier Experience. Headlining two surprise engagements on April 15th and April 22nd under the Sahara tent, the spectacular performance this year gets an extra dose of sensory exhiliration with an immersive virtual environment. Lucent Dossier Experience quickly gained prominence with its cirque style performance that blended interaction, avant-garde theatrics and electronic rock into a mind-bending performance. The use of 3D Live’s technology and design allows them to augment reality in ways the audience never thought possible, seemingly defying the laws of existance. Lucent Dossier Experience is the longest running artist act at Coachella, with this year marking the eleventh consecutive year. 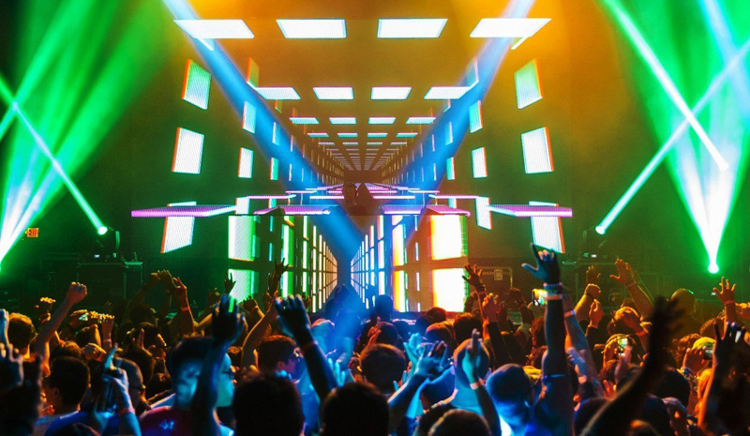 The Los Angeles Times called 3D Live “the future of the light show”. 3D Live has soared to become the leader in pioneering technology that is changing live entertainment. The genesis of 3D Live began on the set of James Cameron’s “Avatar” where the company’s founders first began working in S3D technologies. Following this, members of 3D Live designed the world’s first 3D LED wall for Michael Jackson’s This is It Project. Notable projects include the upcoming holographic 4D theme park experience based on the smash game series “Mass Effect” at California’s Great America park in San Jose, in collaboration with Electronic Arts, Bioware and Cedar Fair; the El Capitan pre-show for Pixar’s smash hit “Inside Out”; along with “Cry Out: The Lonely Whale Experience” conceived by 3D Live, Dell, Adrian Grenier and the Lonely Whale Foundation. 3D Live also collaborated with Cedar Fair to bring about Cedar Point VR, a virtual reality preview of the new Valravn roller coaster months prior to even being constructed. The founding duo of Nathan Huber and Ryan Pardeiro are redefining what people can come to expect from live events. Their team’s blend of creative and engineering talent, matched with patented stereoscopic 3D LED technology, has led to some of the most innovative showcases of dazzling fun and learning. To better serve the different variety of clientele, the company will formally create a division for creative services known as AXO under the 3D Live umbrella.